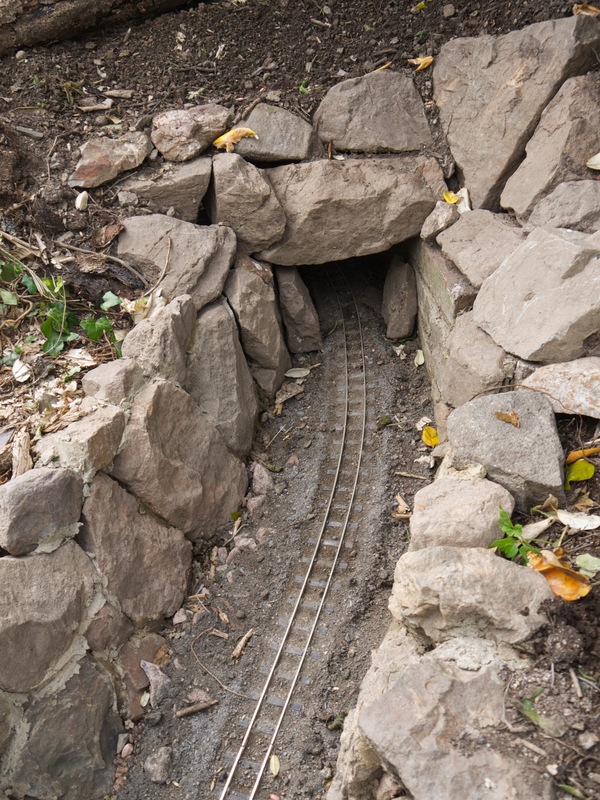 With half the track laid, and one tunnel built, phase one was almost exactly half completed. But I hadn’t yet dug the second (more ambitious) tunnel or cut the turf for the line down the western side of the wall. Constructing the southern tunnel, I used the same technique as for the northern tunnel. The reason this was a more ambitious tunnel is that on the western side, it emerges below ground level. I needed to dig and line a cutting for the line to run through. On the western side of the wall, I dug a shallow trench to fill with a 100mm depth of sub-base. 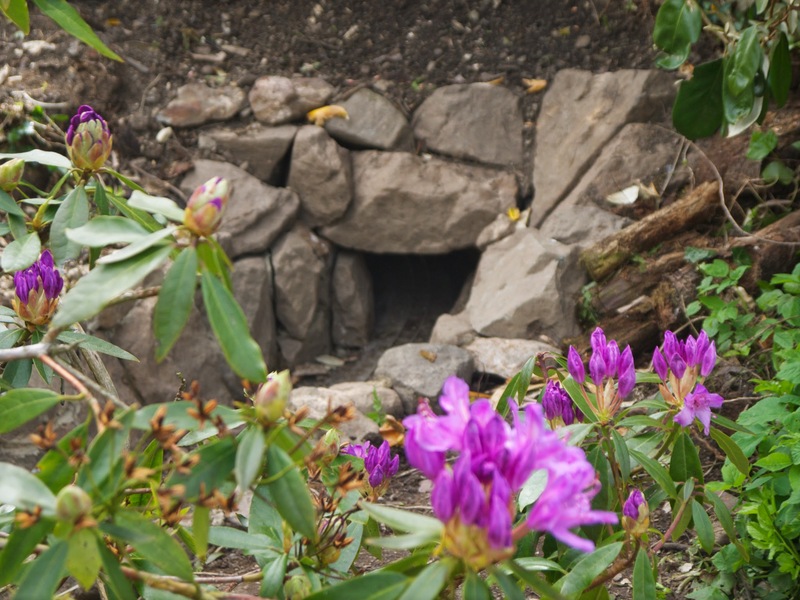 Constructing the tunnel and cutting was awkward, but going underneath the rhododendron was an even greater challenge, since I wanted to disturb it as little as possible. 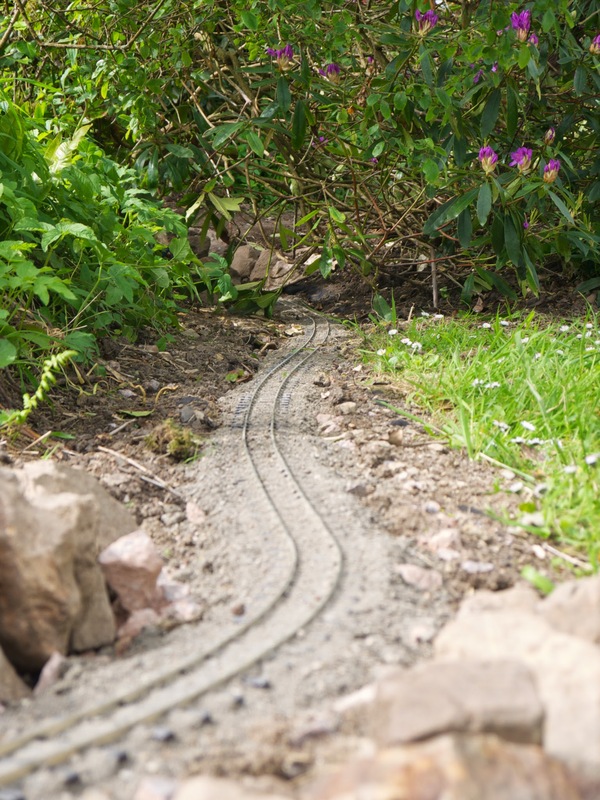 I also finally remembered the weed barrier I had bought to line the trackbed before the sub-base went in. Track laying was slightly more complicated than the first stretch, since closing the gap meant cutting the flex track to fit the gap exactly. 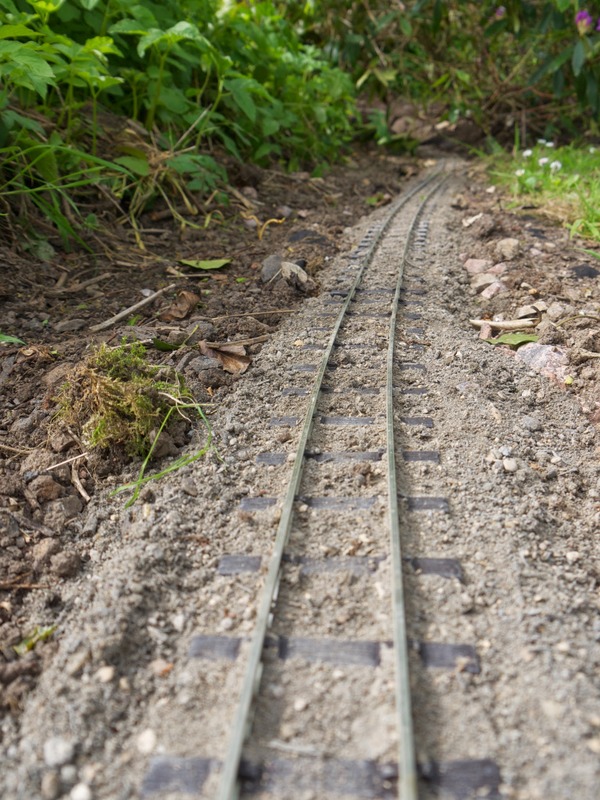 I found this relatively easy – using the same xacto saw I use for 00 gauge track. Photos taken 7 – 25 May. wow – that was challenging! you must have been working day and night and probably had a team of elves to help! very beautiful.